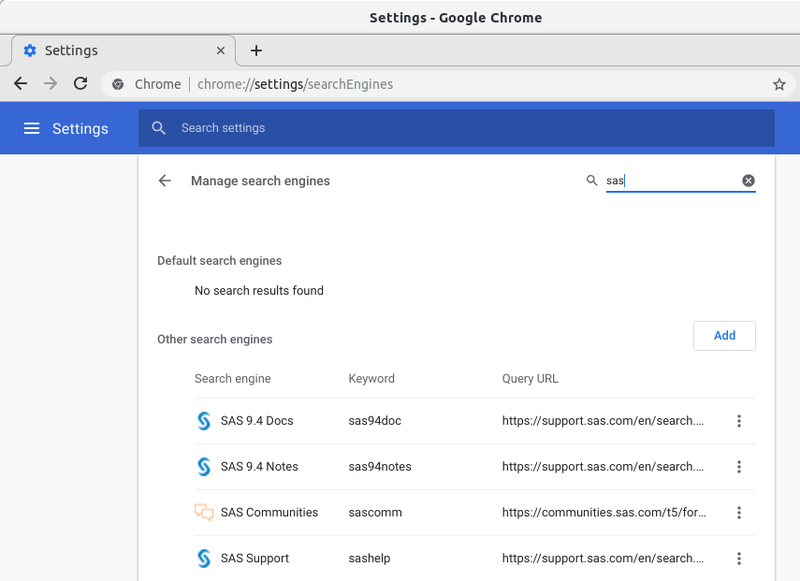 So, I’ve switched to using another method where I can keep typing my SAS 9.4 documentation search in the browser address bar AND use support.sas.com at the same time. It might even work out better than before. Your license for SAS product name on sas.example.com has expired. Please contact your on-site SAS support personnel to obtain your updated setinit information. “on-site SAS support personnel” … hey that’s me! I feel embarrassed that I forgot … again! 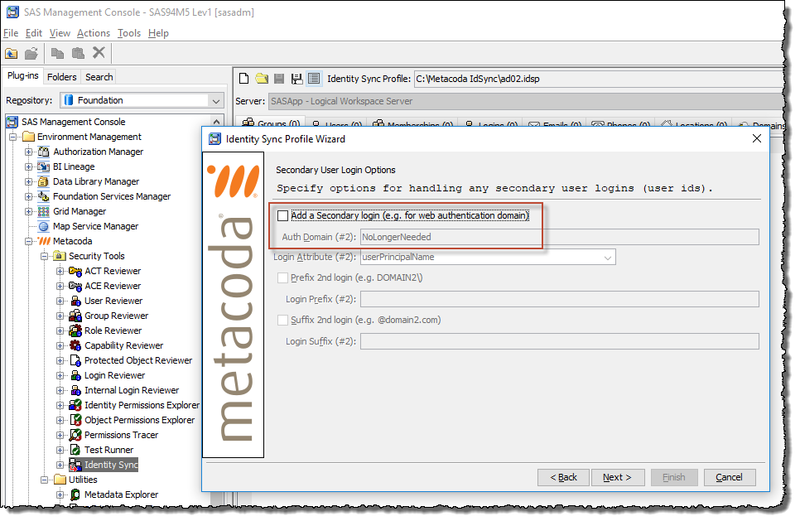 This tip details how to go about removing an unwanted Authentication Domain and all associated Login objects from SAS metadata. A need for this can arise when you have been temporarily (or accidentally/unnecessarily) added a second set of inbound logins for all of your SAS users and you decide you no longer need those extra logins (perhaps you are migrating between authentication mechanisms).